No pink or purple castles here! 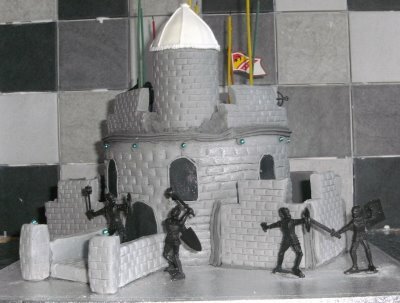 No pink fairies or anything like that, just boys stuff, castles for boys, dungeons, orcs and all manner of fun cakey castle coolness. If you are looking for inspiration for a castle cake for your son, nephew, grandson or any other young boy who is into medieval knights that battle dragons, orcs and trolls, then what could be better and more exciting that a huge castle cake!! This amazing castle cake is cool and authentic looking. By Russ Weakley. 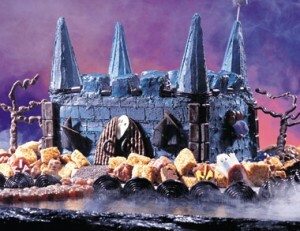 Next is a cool haunted castle birthday cake perfect for even Count Dracula to reside in muahahahhahah. From Company’s Coming Cookbooks. What about this cool replica of Mawes Castle in Cornwall with knights battling it out outside the castle gates. 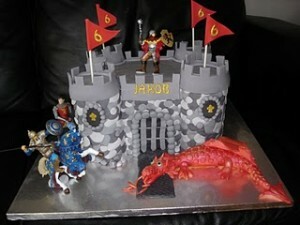 A unique creation by Sam Watson from Sam’s Cakes. 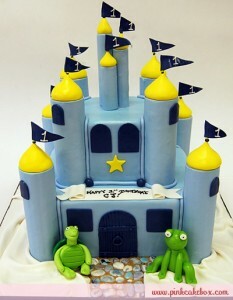 Or what about this cake with turtles, turrets and frogs, created by the talented people at Pink Cake Box. 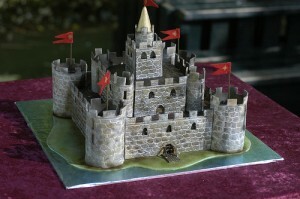 Thanks for linking my cake on your site… what a privilege, as I feel I am an amateur! recipe and method for the russ weakley castle cake ? Please can I have the recipe / method for the Russ Weakley cake .